LONDON, England -- Britain is poised to send soldiers to Ukraine on joint military exercises within a fortnight, as the Foreign Secretary said Russia had become a pariah state for its intervention in the country. 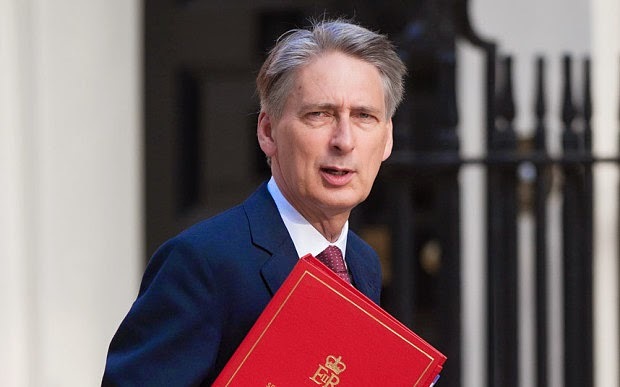 Philip Hammond, British Foreign Secretary, said the Kremlin's involvement showed 'Russia has chosen the role of pariah, rather than partner'. A small detachment of around 30 British troops is expected join 1,200 soldiers from 15 nations including America for the two weeks of war games, as Ukraine battles separatists backed by Russian troops in the east. Philip Hammond, Foreign Secretary, said the Kremlin's involvement showed “Russia has chosen the role of pariah, rather than partner”. Speaking ahead of this week’s NATO summit in Newport, he called on the alliance to show it had the political will to repel an attack on any of its members, or the military partnership would unravel. A “red line” must be drawn around the 28 member alliance that cannot be crossed he said. Although Ukraine is not a member of NATO, Eastern alliance members including Poland and the Baltic states fear they may soon become the target of Moscow’s aggression and worry Western European members are not prepared to back them. The Ministry of Defence announced British troops are likely to take part in the annual Rapid Trident exercise near Lviv, Ukraine later this month. NATO has said it will ramp up its programme of exercises in Eastern Europe to keep forces rotating through the region, but will not build permanent bases in the area. This week 120 soldiers from the Duke of Lancaster’s Regiment are taking part in a live fire training operation in Poland. “We committed ourselves when these countries joined NATO to join defence with them. We also committed ourselves that we wouldn’t forward station a lot of troops on their Eastern border. “But we reserve the right to exercise in them. “But Russia has of course torn up the rule book. These exercises are a way of reminding the world that NATO and in particular article five of NATO means something. “Article five means that an attack on one is an attack on all. Andrii Kuzmenko, Ukraine’s acting ambassador in London, said Ukraine would use this week’s NATO summit to ask for technical military supplies including communications gear and “anti-aircraft systems”. Mr Kuzmenko said the West’s overall response to the Russian incursion in eastern Ukraine was “insufficient and weak” and warned the fighting was a “battle for Europe”. The ambassador said Britain and America had particular duties to help his country because they had assured its security in a 1994 agreement where it gave up its nuclear weapons. Mr Kuzmenko said: “This is not only the fight for Ukraine, this is a battle for Europe which has already begun”.